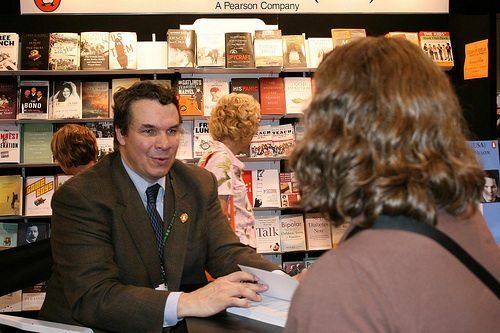 The bestselling author of Three Cups of Tea, Chris Mortenson, has agreed to return $1 million to the nonprofit he co-founded, the Bozeman, Mont.-based Central Asia Institute. You’ll recall that Three Cups of Tea retold the tale of Mortenson’s voyage through Pakistan, which the author claimed began when he got lost while trying to reach the peaks of K2 and then turned into an odyssey in which Mortenson built schools for local children (hence the book’s subtitle, “One Man’s Mission to Fight Terrorism and Build Nations…One School at a Time”). You may also recall that aspects of that tale have been disputed, most notably by author Jon Krakauer, who wrote a rebuttal book of sorts with a title that promptly announces its thesis, Three Cups of Deceit: How Greg Mortenson, Humanitarian Hero, Lost His Way. Many people were inspired by Mortenson’s book, which was undoubtedly helpful in attracting tens of millions of dollars (including a $100,000 donation from President Obama) to the author’s nonprofit, but it appears that all was not well at the Central Asia Institute (CAI), as CBS’ “60 Minutes” first noted about one year ago. Among the violations that were alleged in the Montana attorney general’s report, released yesterday: failure to offset profits the author made from CAI’s purchasing many copies of his book, accepting travel reimbursements from groups while CAI was reimbursing those same travel costs, and using CAI donations on personal purchases like flights for non-CAI-related trips, clothes and online media downloads. The report also takes CAI’s board to task for a general lack of oversight, which may not be completely surprising, considering that the board consisted of only three people, one of whom was Mortenson. Based on the terms of the settlement, Mortenson will be allowed to remain on the board, but not as a voting member, and the other two board members will have to leave within a year. A new board, consisting of at least seven members, and a new executive director, must also be put in place, according to the terms of the settlement.